Helen, my Waihi NZ hostess, pitched me north toward the “rellys” up in Tairua, where I pulled in after two days of riding. My riding days have been a less-than grueling 2 hours each…mileage is miniscule, though the road-fright is enough to make me age visibly. And this is with nearly no traffic! 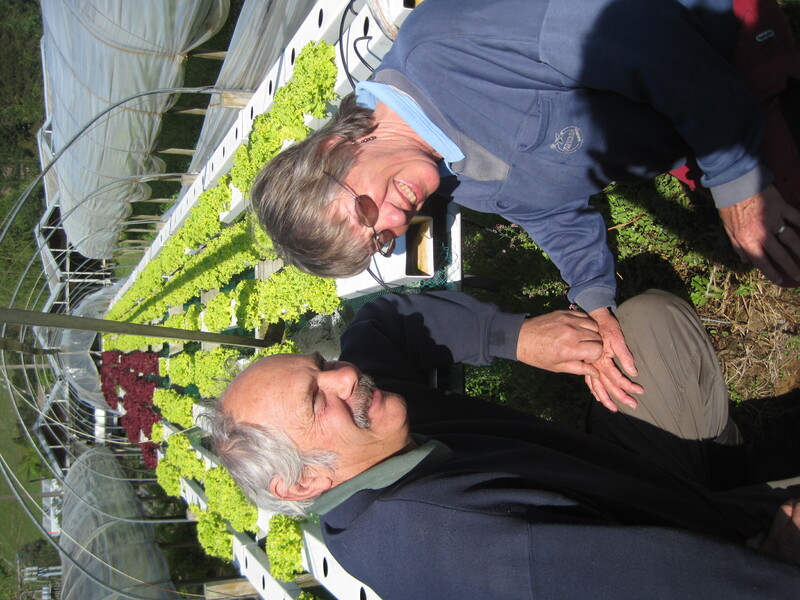 Her rellys are Marg and Murrray Gilmour, the hydroponic lettuce farmers of the scenic peninsula. They have rows and rows of plastic-covered greenhouses with trays that have holes in ’em and drainage runnels and the colors–deep burgundy purple and chartreuse green–make your eyes light up and your camera say howdy. They have three grown kids. Laura is an entreprenurial young woman who took me with her to the village market this morning (Saturday) an hour’s drive north in Whitianga (pron: “fittyonga”). It’s where I will pedal tomorrow by a different route. Laura’s skills talents range from hula-hoop manufacture, ginger beer production, and “Contact Care” expertise (a healing modality),. She also dives and does triathlon. The market was twelve sellers of fine felted wool wearable art, kauri and macrocarpa wooden bowls and barrels, homemade jam (heaven! Feijoa jam! And Tamarillo jam, never heard of that), manukka honey and mosaic tiled garden art. 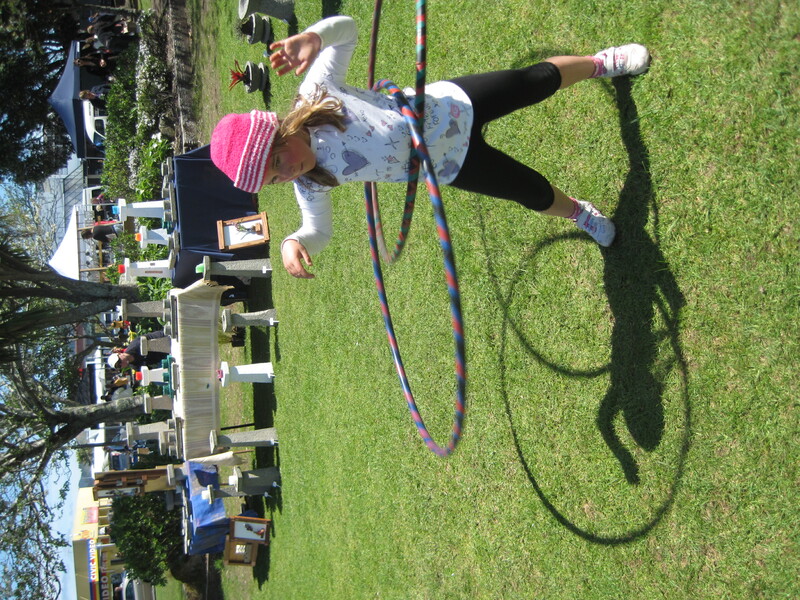 Hardly anyone sold anything, but the hula booth was by far the most popular tent, with shy kids turning into hula demons while the occasional grandma gave it a go, and yes, several hoops found new homes. I demonstrated long enough to know I’ll have a waist-ache tomorrow. How pleasant it was, sitting passively as the 40 km home whizzed sweatlessly by. 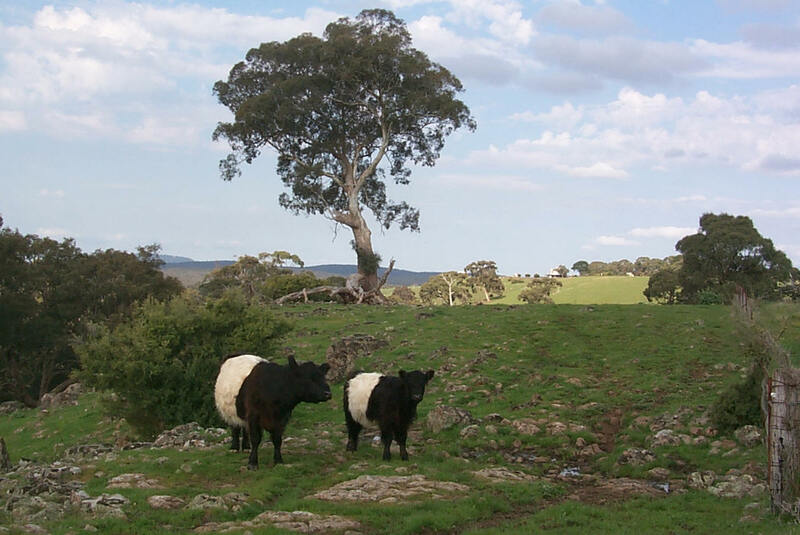 The green pastures were punctuated with lines of trees (not the tightly knitted ‘shelter belts’ that screen the kiwifruit orchards) and fine furry Galloway koos: basically black cattle with a massive white belt in the center that looks like it could be Advertising Space. We passed at least fifty lycra clad bicyclists (shame spiral twirling in my gut) who were training for the K1, the biggest road race in New Zealand. ~ by jacquiephelan on October 1, 2010.